What is CarFit for the older driver? How is a CarFit check completed? At a CarFit event, a team of trained technicians and/or health professionals work with each participant to ensure they "fit" their vehicle properly for maximum comfort and safety. A CarFit check takes approximately 20 minutes to complete. Do you want to attend a CarFit event? 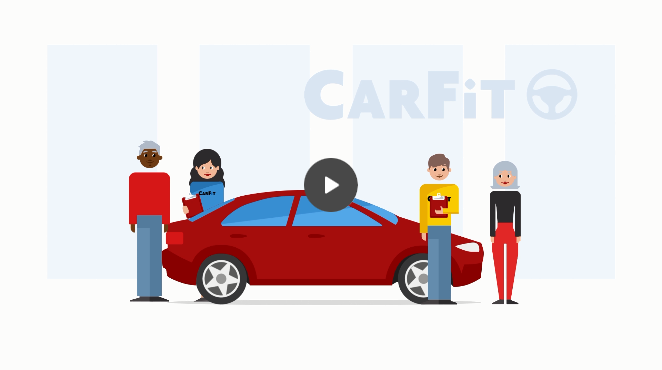 Using this site, you can click here or on the "Find an Event" link on the menu on the left to view an up-to-date listing of CarFit events scheduled throughout the country, or in your area. If no events are listed, please check back for new postings by trained CarFit volunteers near you. For more information email us at info@car-fit.org.